Great people like Jack Layton not only leave a legacy, but will be the inspiration to even greater accomplishments. The Provincial Elections race is starting up- let the games begin! The new President of Volunteer Sudbury! I have decided to continue on as Nickel Belt's Federal Candidate for the Green Party, as long as I am able to. I know that if any riding should be represented by the Green Party it should be Nickel Belt. I have four years to get out there, I can do I much better job if Nickel Belt had an EDA with volunteers. Whoever willing to help open up an EDA in Nickel Belt, please let me know. It is the right and duty for every Canadian to exercise their vote. Lives are changed by our government either for good or for bad. We must take this responsibility seriously; we have the power to change things! Your vote is something personal and should be based on your principles and your liking. Today, as citizens, we have the power- use it or lose it. Green Party Social tonight at the Green Campaign office- come hang out. Final debate tonight, both excited and nervous at the same time. If I could sum up this experience in one word it would be LIVING! Nice to watch the Sudbury Chamber Debate tonight. Very disappointed in the direction that the Conservatives are taking, especially from my opponent Lynn's comments in regards to environment. I am concerned as a citizen as to where the future if this country will be if the Conservatives gains leadership again. www.greenpartychristine.ca- New video blog uploaded. It's Earth Day! Get to your advanced polls and vote Green! Msg me if you don't know where to vote. Sudbury Live E-Town Hall at 12pm....send in your questions. Thank you Simon for taking care of my site while I was away! Many many thanks! I will be posting updates and information on my facebook page. Come and have a look around. Do you have any questions for me? Send them along! Another reminder....tomorrow night is the YWCA Women of Distinction Nomination Launch free wine and cheese. Come check it out, we will be having a raffle for 2 Bulova Watches donated by Robert Brown Jewellers. The launch will be held at the Radisson tomorrow starting at 5:30. If you know someone that you may want to nominate for the Women of Distinction Award, please message for detail. On January 13th at 5:30, the YWCA is hosting a Women of Distinction Nomination Launch free Wine and Cheese at the Radisson. We will be having a draw for 2 Bulova Watches donated by Robert Brown Jewellers. If you are interested in nominating someone for the Women of Distinction Award, please let me know and I will send you over a nomination package. It is a New Year, which is always a refreshing feeling. I have recently took interest in the Outreach Red Coats program and look forward to volunteering with them. I will blog about my experiences on the streets of Sudbury. There is a handful of events coming up that I am proud to be apart of during this year. I'll post as information comes in. France Gelinas said that she feels sorry for Bartolucci.....He made his bed and now he has to lay in it. He knew exactly what he was doing. 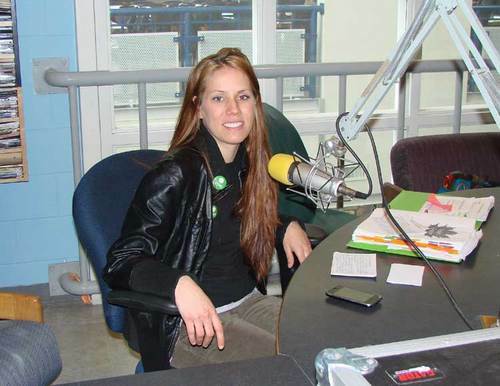 Federal Green Party Candidate- Nickel Belt. Wife, mother to 2 daughters, full time bokkeeper and active volunteer. LOVE LIFE!